There are myriad options for flooring an office. You could choose hardwood for a clean, rustic look or tile for a calming, modern atmosphere. However, those may require more daily upkeep, as dirt and dust will settle on the floor and be easily stirred up by people passing through. Carpeting, on the other hand, adds to the aesthetic of the office and will trap the soil that employees and visitors carry in. This type of surface comes with countless benefits, but will require a maintenance program to uphold its durability and cleanliness. Why should you switch to carpeting? Hardwood and tile floors give the office a clean and consistent look. However, they're often covered up with mats or rugs in strategic locations, which can make the choice of those materials futile. Instead, go with carpeting from the start. This will not only give you a softer and padded surface that will feel better under your feet, but will also save you money since you won't have to buy extra rugs. 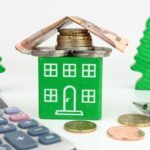 Wall-to-wall carpeting will also reduce costs in other areas as well, according to the Carpet Institute of Australia Limited. The material is a great insulator, which means it will trap heat in the winter and cold in the summer. This will lower heating and cooling expenses throughout the year. Carpeting also prevents noise from reverberating throughout the office. Less noise means fewer distractions and increased employee productivity. Staff and environmental health will also see the benefits of office carpeting. The material improves indoor air quality by trapping dirt, dust and pollutants in its fibers, The Carpet and Rug Institute explained. It will remain in the carpet until the surface is cleaned, and the dust won't be stirred up by people walking on it. This is beneficial for employees who have allergies, asthma or other respiratory issues. Carpeting also emits the lowest amount of volatile organic compounds compared to other flooring materials, which means there are fewer toxins in the air. 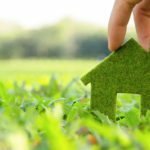 According to the Carpet Institute of Australia Limited, 90 percent of any VOCs the material has left from manufacturing will disappear within a few days of installation. 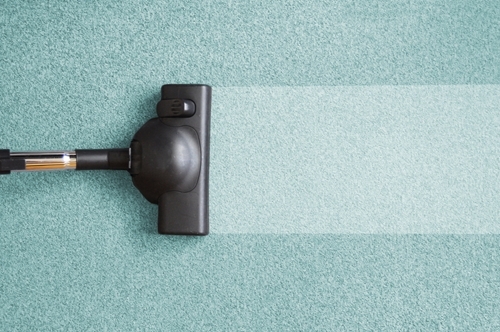 How can you clean your carpets? While wall-to-wall carpeting is beneficial because it traps air pollutants and soil, it also gets significantly dirty before the material shows it. Manufacturers create carpeting so that the fibers hide how much dirt the material is actually holding, Cleaning & Maintenance Management magazine contributors Richard Bodo and Bob Christensen explained. If you wait to clean it until the carpet looks soiled, you'll be replacing the flooring long before you want to. However, by implementing a complete carpet maintenance program, you'll be able to keep your office floors looking as good as new. Soil prevention – You need measures in place to stop dirt and pollutants right at the door of the building. By placing entrance mats both outside and inside, you'll be able to eliminate most of the soil in the office. These rugs should be 9 to 15 feet long to prevent approximately 80 percent of the dirt and moisture from getting too far into the building. However, these will need to be cleaned more often than the rest of the building since most of the dirt resides in these mats. Routine cleaning – The building should have a set schedule that determines which areas need to be vacuumed on which days. Locations such as entryways, hallways, elevators and lobbies should be maintained daily, as these are high-traffic areas. Offices and conference rooms can be vacuumed less frequently, but should still be addressed at least two times each week. Occasionally, maintenance staff should go more in-depth by vacuuming under and behind furniture and along the walls and corners. Spot and spill removal – Accidents happen. People may track in mud, salt and slush during bad weather or they could spill their soda. The office needs a method to clean these spots immediately. If they are given time to set in, they will be permanent stains and the carpet will need to be replaced. Interim maintenance – In business, appearance is everything. You wouldn't want the cleanliness of your office to lessen the professional image. Unlike routine cleaning, an interim maintenance system focuses on the high-traffic areas, such as entryways and lobbies. The frequency and depth of this program depends on location, use and color, as certain areas and shades will look dirtier than others. Deep cleaning – Despite regular cleaning, carpets will lose their luster over time. Their color will fade and they may appear dirty no matter how often you clean them. However, a deep cleaning program can have them looking as good as new. This uses stronger equipment to remove soil that is deeply embedded in the fibers as opposed to just eliminating the particles on the surface. When it comes to cleanliness, the success and ease of the job depends on the vacuum, Cleaning & Maintenance Management magazine explained. Upright vacuums with a brush bar are best for high-soil areas, as the spinning broom will stir up the dirt so the suction can collect it. After you have taken care of those locations, you can switch to equipment that is convenient and quick for the area you're cleaning. Backpack, stand-on and wide area vacuums are much more efficient and will clean a larger space in a shorter time. Carpeting requires an in-depth cleaning program, but you and your office will see the benefits of having the flooring installed.